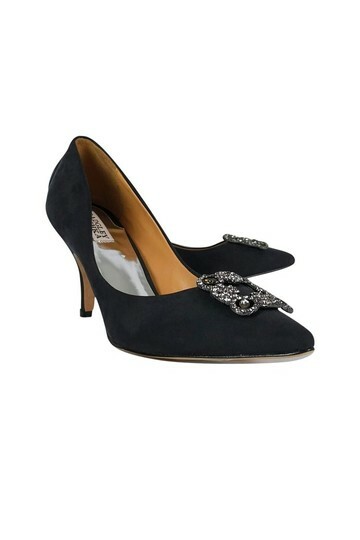 Elevate any cocktail dress or evening gown with these enchanting pumps from Badgley Mischka. 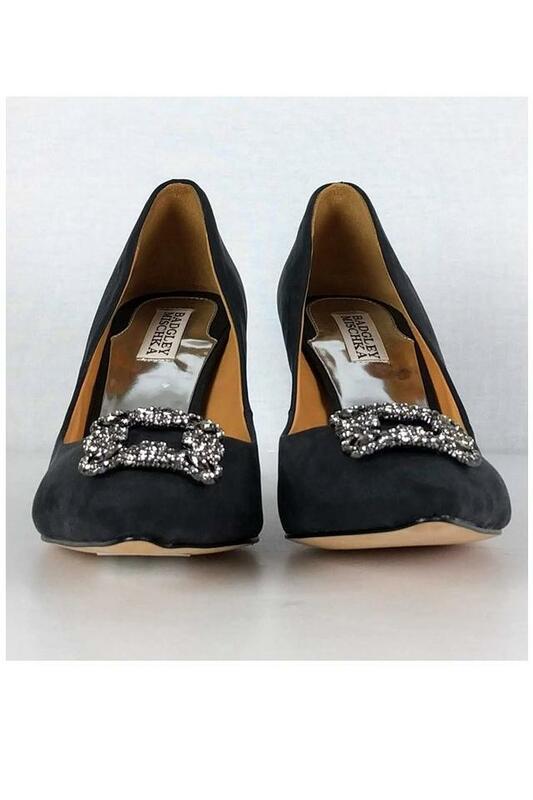 Made with a chic pointed toe that is accentuated by a rhinestone buckle. 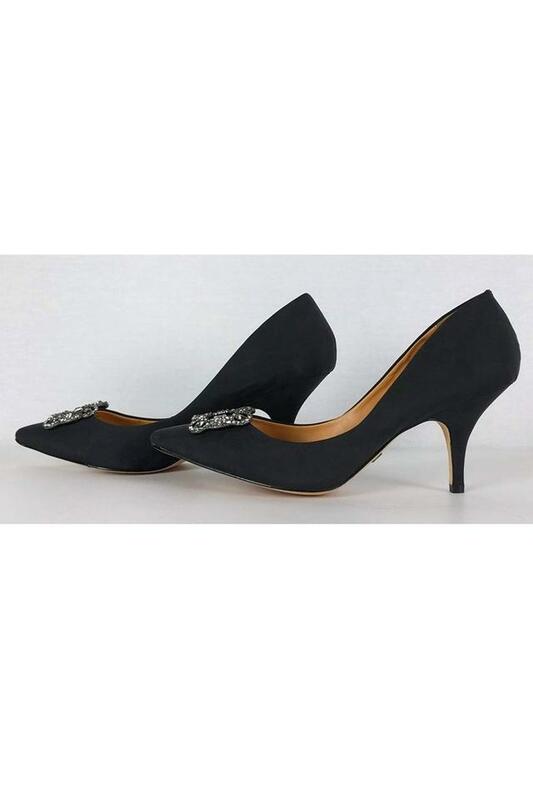 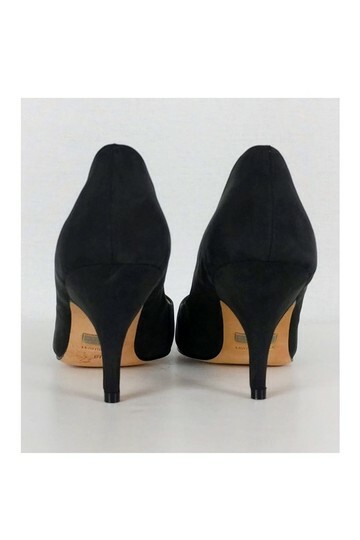 Their small kitten heel makes them a comfortable pair.